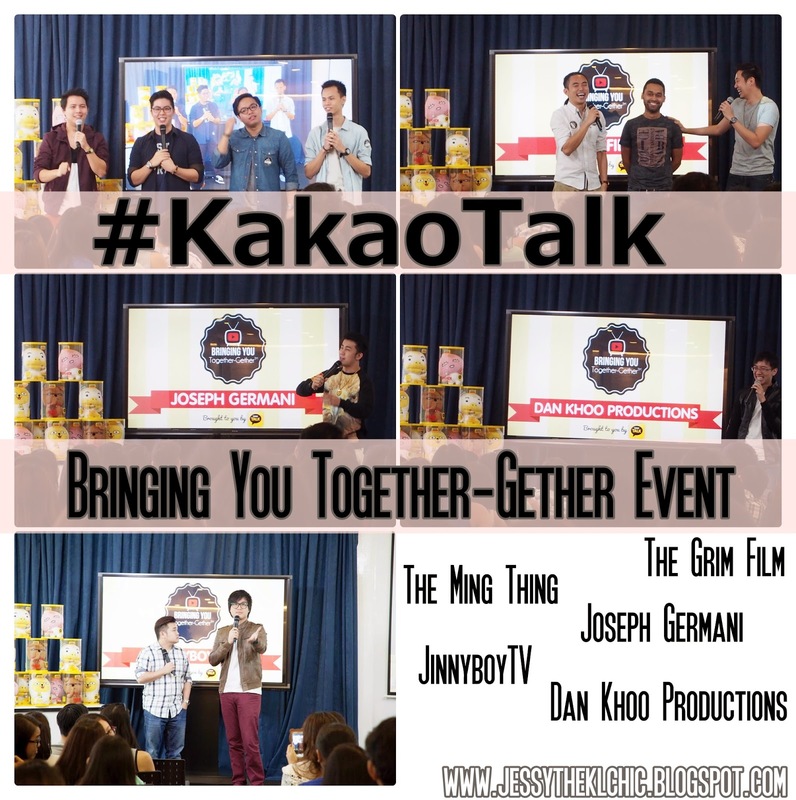 So on the 19th April 2014, Kakaotalk had their a Youtube Bringing You Together-Gether event at The Gardens. Amelia was one of the few lucky ones who score passes to this event. Guess who was her teman? hehe <3 Thank you Amelia :) Actually I didn't know about this event until Amelia kept telling me about it and I thought why not and just go to see what was lined up for Youtubers at the event lo :) Thanks Amelia! We arrive right on time as when they say it would start but apparently we were suppose to arrive around 1.30pm to register ourselves. Dear Amelia didn't know about it and we came in at 2pm with lots of people already filling up the entire place and we end up way behind. Oh wells. haha. Thought that we would be the oldest there but it turns out that aunties also turn up for the event and some looked way older than us :D Good to know that there are all ages of fans to the youtubers. Curious to know how some of the youtubers started out? When his name was called up, you should have listen to the amount of girls screaming his name. It was like the entire room was his fan club. haha. All them young girls. hehe. Joseph talked about his solo video-ing experienced and how he didn't quite thought through about his Youtube name? 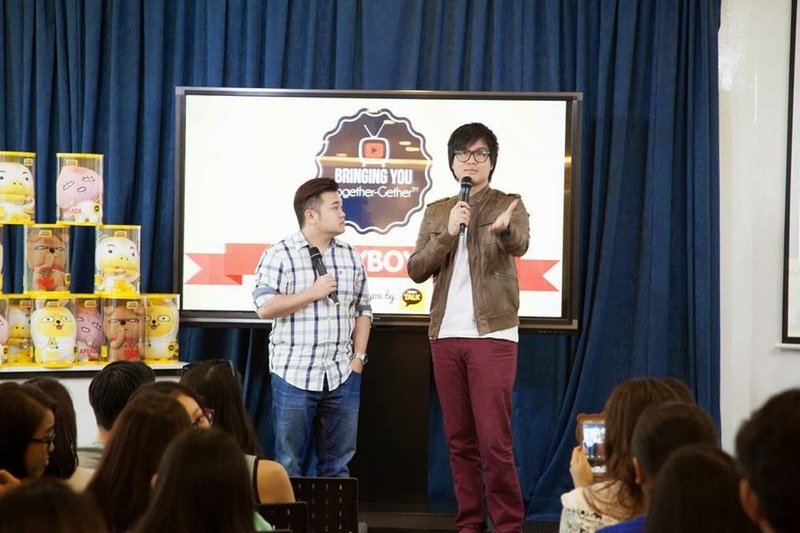 He talked about how how he first started as a youtuber and his first meet up with Dan Khoo. The way he describe it was hilarious, apparently Dan Khoo asked him to collaborate and to act in his video. The first thing Dan told him was to strip down for the video. Which caught Joseph off guard but that was apparently the first of the many videos that they have collaborated together. Joseph then talked about his first video with JinnyBoyTV, where we acted as Ah Wing and he had to even cross dressed. It's funny how youtubers meet. haha. The emcee even asked him to show Monchichi dance moves. Oh did I mention that everyone in the hall sang along to Monchichi too? haha. Dan talked about how he first started Youtube but gave up later and focus in college? Back then he had less than 20 people following him for a couple of years. Then when he started back at Youtube he used Dan Khoo Production as his new account. Kinda wonder, what is his old account name but he said, he won't be sharing that information with anyone. haha. So since then he collaborated with a lot of other Youtubers. Currently one of his highest viewed video is BANANA with Ling Big Yong and Dennis Yin. To those that don't speak mandarin but are chinese can relate to that video the most. I know I could relate to it since I am a banana myself. haha. Shortly half way through his speech, Amelia and I had to run off as I had a speech to make somewhere else. Was kinda disappointed to leave because I wanted to hear the what Jin and Reuben had to say lo ): Oh wells. Apparently they showed and talked about their new video, The Rose. For more videos of JinnyBoyTV, CLICK HERE! Do check out Abuden & Only in Malaysia! Amazing videos :) That's all I know what happen after we left. Besides that, all of the Youtubers also played games with those that came to the event. Some of the attendees got to score some KakaoTalk Toys home. haha.